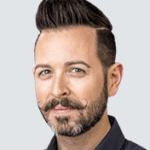 Throughout his career, Rand Fishkin has always aimed to help businesses improve their marketing campaigns. Most widely recognized as the founder of Moz, Rand continues to expand his impact with the creation of a new software company, SparkToro. With a rich understanding of the challenges digital marketers face and a keen eye for opportunity, Rand honed in on the absence of a marketing tool that provides useful insights about specific target audiences, most notably data showing which sites are most commonly visited by those audiences. SparkToro remains a work in progress, but early successes have shifted attention to Rand’s underrated business philosophy and non-traditional business structure. On this episode, Rand explains what Zebras are and why they are consistently more successful than Unicorns, how he and his partner designed the SparkToro business structure, and when marketers can expect to start benefiting from Sparktoro. Over his career, Rand has noticed that digital marketing budgets are often wasted because marketers are unable to predict how to reach their target audiences directly. Budgets are often squandered as marketers purchase ad space on broad-audience platforms, such as Google and Facebook, where brand messages often go overlooked among the heavy competition. Rand and his small team are still developing SparkToro, but once completed, the software will help brands improve outreach efforts, get better amplification from sources relevant to target audiences, and ultimately achieve better returns on marketing efforts by providing marketers with easy access to all the data they need about the audiences they want to reach. Results will display data like what podcasts and blogs audience members subscribe to, which social media influencers they follow, and what websites they frequently visit. Rand and his team have not settled on a final design for SparkToro, but the data aggregation necessary to build their software is well underway. Similar to political pollsters, the SparkToro team began their data conquest by conducting surveys. These survey results reveal how niche groups of people behave online. Rand points out that, while these SparkToro surveys are unlikely to pick up data from every single target audience member online, SparkToro’s data will be accurate in showing statistically significant patterns representative of missing data from the same group. The SparkToro team is also gathering data from other key sources, including LinkedIn, Twitter, Reddit, and any website where an email is registered with a user profile. With data aggregated from various internet sources, each profile held in the SparkToro database is more likely to be accurate and complete. Profiles found through SparkToro are intended only for market research to learn about an individual’s interactions with a particular industry. For this reason, Rand has designed all search results to hide any irrelevant or private information. Even the most complete profile displayed through SparkToro will omit personal details like address or phone number. Even with an intricate and effective product, SparkToro won’t ask much from customers. The low cost of service may be due in part to Rand’s non-traditional company structure. Rand’s new age company framework is built with company owners, members, partners, and investors in mind. At the core, Rand reveals, the SparkToro structure was inspired by the “Zebra vs. Unicorn” business philosophy. In Rand’s interpretation, Unicorns are businesses that managed rapid and exponential growth with means that are unsustainable long-term. In contrast, Zebras focus more on strategy, resulting in steady and consistent growth over time. For him, there was no question — he wanted to be a savvy Zebra with a product he could stand by. What Does The Zebra Model Look Like? SparkToro stands out partly because the company uses individuals rather than a venture-capital firm or private equity, and partly because the company is broadly structured as an LLC as opposed to a C-corp. While SparkToro does not allow for capital gains, the company structure rewards investors with returns even before the company officially exits the market. Because investors own units of the LLC, they get back some capital each year. The level of profit received will depend on the extent and level of an investor’s ownership. The unique structure of SparkToro as a company is set up to benefit their investors, and Rand’s business model is designed with the future in mind. With the Zebra mentality, Rand has prepared his business for a variety of possible milestones or outcomes ahead. When Is SparkToro Going To Be Made Available? Right now, the team continues to build up the SparkToro database. Rand explains that his next concern will be to tweak SparkToro’s database until it is easy to use and displays results in a useful way. Fortunately for Rand and his investors, the SparkToro project is not a secret to the marketing community. With a loyal following online, Rand has already had a head-start with marketing efforts. Many marketers have already subscribed to Rand’s minimal marketing updates regarding SparkToro’s official launch date and some have even signed up for the product upon release. Still, Rand explains the importance of story-telling in the formation, establishment, and acceptance of a new brand identity. “Great stories are at the core of great brands,” Rand explains. You can capture your customers’ attention and broaden your audiences by creating a great brand story. To find yours, try out different ideas and see what resonates with your target audience by talking to people in your industry or target niche.